We are delighted to be working with the National Centre for Sport and Exercise Medicine to present Why is Moving Medicine? – our inaugural joint event which will take place on 23 May 2019 at the Holywell Park Conference Centre in Loughborough. The conference will look at the science behind exercise medicine, building on the recently-launched Moving Medicine resources to highlight the evidence on the prevention and control of many chronic health conditions. The themes of the conference are musculoskeletal health, mental health, diabetes and cancer, with keynotes from Professor Steve D R Harridge, Director of the Centre for Human & Applied Physiological Sciences (CHAPS), King’s College London, and Professor Dylan Thompson, Professor of Human Biology, University of Bath. The conference is priced at £80 for FSEM/NCSEM members and SEM trainees and £130 for those outside of these categories. 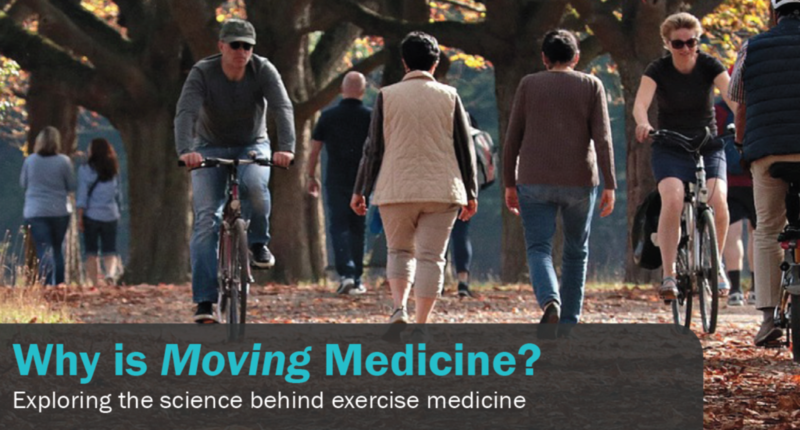 For full details and to find out more about what promises to be an informative and engaging day of presentations and discussion, visit Why is Moving Medicine?